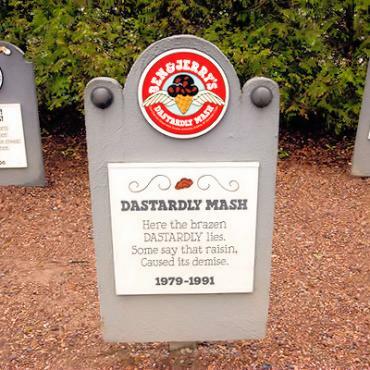 - Graveyard for Ice Cream flavours of yesteryear in Vermont! 'High on a hill there's a graveyard that's haunted, by the ghosts of old flavours that nobody wanted,' or so it’s told on the lawn overlooking the Ben and Jerry's ice cream factory, near Stowe, Vermont. 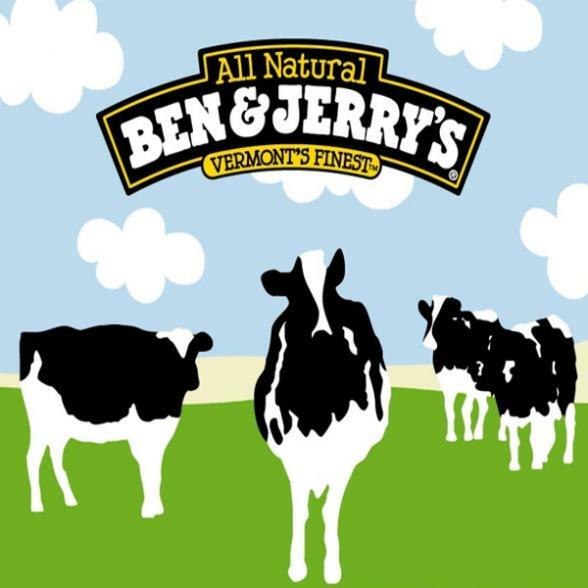 Ben and Jerry have been making their mouth-watering ice cream for over 35 years, and some flavours are bound to go out of fashion. 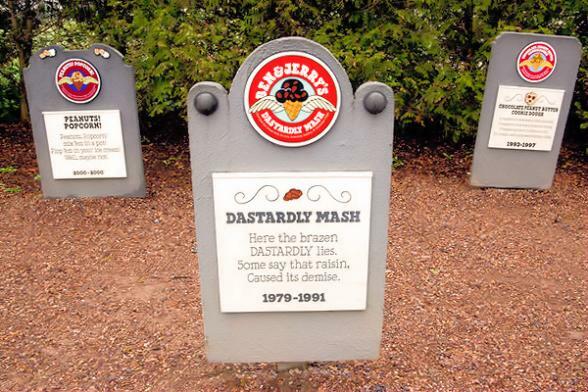 But fear not ice cream fans, there is a graveyard on site at the Ben and Jerry's ice cream factory that allows you to remember the flavours of yesteryear. Nestled behind a flowery arch and pretty white picket fence, you'll come face-to-face with the individual memorials whose tombstones' witty poems beg for a moment of attention. This quirky graveyard display is just one of the many attractions at Ben and Jerry's ice cream factory in Vermont. 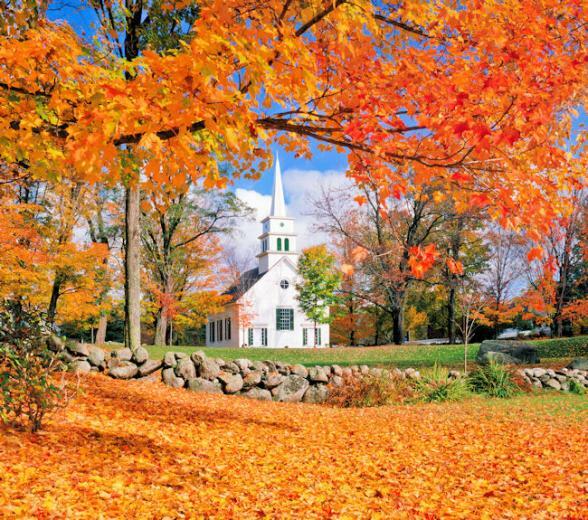 Call the team of USA experts at Bon Voyage to include a tour of the factory in your next holiday to the charming New England states.